At this point in the season, we've fully sunk our teeth into fall. 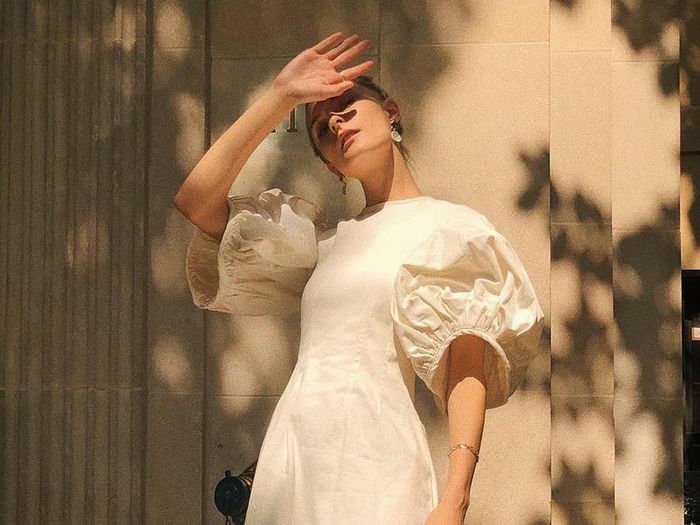 September was all about eyeing and predicting which trends would really take hold, and now October is the time to place our bets and put our money where our mouth is. We're getting serious about which trends are really worth our time and which ones simply aren't. Since there's really no way to know for sure if a new purchase will pull its weight and prove to be worth it, we're identifying five fall items that pose little to no risk. How exactly do we know this? We did a cost-per-wear calculation to prove just how much value lies in each of the items on our fall shopping list. Ultimately, we came to the conclusion that, given how many outfit ideas we have saved for each item, it will cost us less than $10 every time we wear the piece (given that we copy the each of the outfit ideas, of course). If you're doing some fall shopping on a budget, each of these five buys—a sweater, skirt, bag, boots, and jeans—really makes your dollar go the distance. Because we all know that feeling of disappointment when we see a dress hanging in our closet that never actually saw the light of day. Don't believe us when we say that each item costs less than $10 per wear? Keep reading to see the outfit ideas that prove it and then shop the items guilt-free. We'll be the first to admit that turtlenecks aren't exactly the most exciting thing in our wardrobes, but let's face it, they do the real legwork. 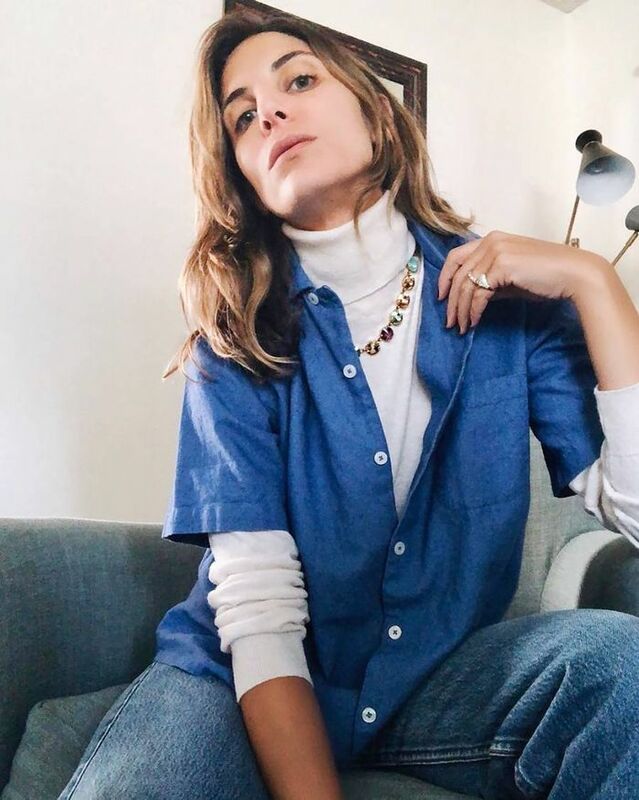 Whether layered underneath a blazer, worn tucked into jeans, or underneath a button-down like fashion girls are currently doing, having a thin turtleneck can do wonders for your outfits for fall and winter. The below three outfits illustrate this perfectly, but we have a feeling that it'll get much more than just three wears, making it one of the most affordable items you can buy this seasons. By now you've probably seen satin slip skirts left and right on Instagram (shoutout to Réalisation, whose leopard-print version went viral this summer). The delicate midi-length skirt causing all this chaos is actually a genius investment because it's flattering, versatile and, well, pretty. Even better, our Who What Wear collection stocks an affordable style that, when worn in all the following outfits, brings its cost-per-wear way down. To prove exactly how versatile the piece really is, get inspired by our favorite ways to wear the skirt. With all things late '90s/early '00s rearing their heads again, there's one bag style in particular that we're just thrilled at the prospect of wearing again: baguette bags. The small shoulder bag style happens to be the perfect accent to fall best jackets and sweaters, as one glance at the cool outfit ideas below exhibit. Ankle boots are always a wise choice for fall, but with a zillion different styles, it can be overwhelming to decide on which pair to bring home with you. It's not just our opinion that white boots with a subtle nod to the Western trend are the perfect pair for this season, stylish women all over are also hopping on board. If you were at all hesitant to test the waters with this trend, the following outfits prove the boots have a big sartorial range. Copy every one of their outfits and suddenly the seemingly out-there boots are only $10 per outfit. Seriously, what do you have to lose? We knew you've been eyeing a pair of new jeans for fall anyway, so we went ahead and chose the pair that will do the most for you and your wardrobe this season. In a washed black, almost charcoal color and relaxed boyfriend fit, these Everlane jeans are your best bet. We're fans of them toughened up with a moto jacket or styled with a bright sweater per the following the outfit ideas. For even more affordable fall shopping, see the 51 under-$100 items in Kat's cart.